Zillow reports the median home value to be $163,400 in early 2019, and calls Carlisle a "Very Hot" market at this time. 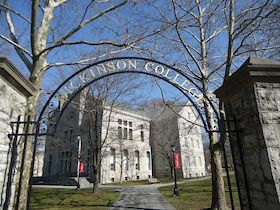 Carlisle, home to Dickinson College and the United States Army Heritage and Education Center, is a Preserve America Community. 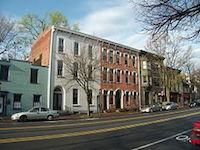 History abounds here with a historic district and preservation programs which promotes special events throughout the year. Winters are chilly; property taxes are a higher than in some other Pennsylvania counties. The average January temperature in Carlisle is 27 degrees, with July's average at 73 degrees. The town receives about 30 inches of snow each winter. Carlisle’s cultural scene includes many historic sites, and multicultural events. Historic Carlisle is an organization formed to promote and help to celebrate the city's rich history. A Civil War reality walking tour allows you to use your smartphone while you soak in the town's history. The U.S. Army Heritage and Eduction Center was ranked as the #1 attraction by reviewers on TripAdvisor.com. This houses an Army Heritage Museum and honors Soldiers past and present. Other popular attractions in the town include The Carlisle Theater which hosts concerts and live performances year round, and Carlisle Events, which is one of the world's largest presenters of collector car and truck shows, and is host to nine national car events held annually. The crime rate of Carlisle is a lttle above the national average. Carlisle Regional Medical Center services the area. Carlisle is at the crossroads of the Pennsylvania Turnpike-Interstate 76 and Interstate 81 which makes traveling easy. It is just 90 minutes from both Baltimore and Washington DC. The closest airport is in Harrisburg, about 30 miles away.